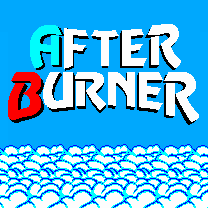 After Burner (アフターバーナー) - Games - SMS Power! 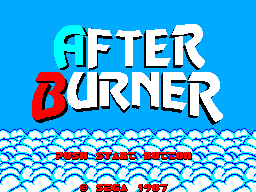 Sega - Hot hits today! Hot hits on the way! Sega's smash arcade hit comes to life... on your Sega System! You're a Navy Air Captain. 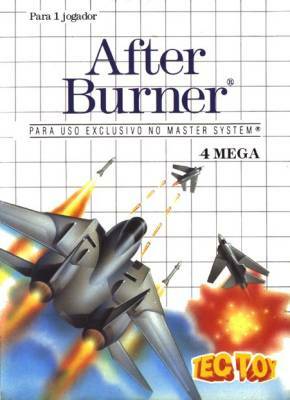 At your control is the most advanced fighting jet ever to set the skies on fire! You supply the skill, reflexes and guts. 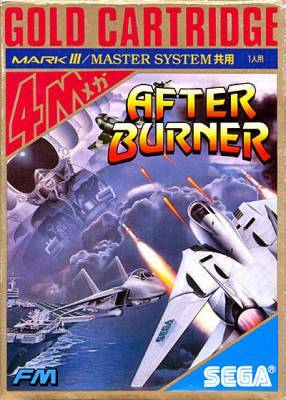 Your F-14 Thunder Cat gives you Mach 2+ speeds, unlimited firepower and a state-of-the-art battle computer which targets your enemies for destruction. 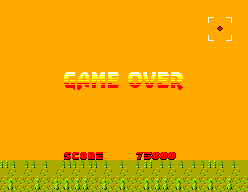 Fire guided missiles, then blast away with your Vulcan cannon. 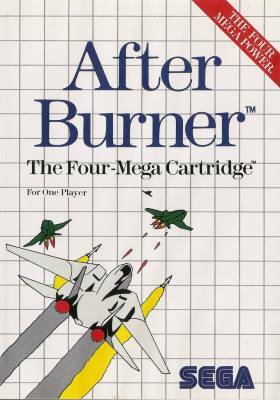 Roll your F-14 left and right! 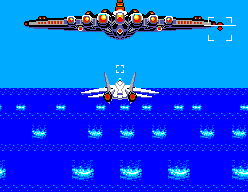 Enemy missiles slide under your wings. 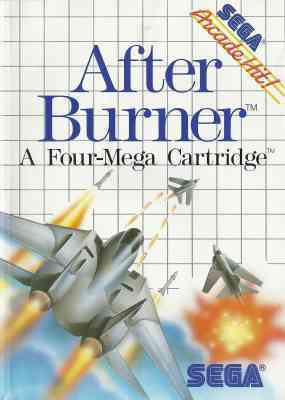 Your afterburners roar as you dive for the wave tops! In this sky battle you're outnumbered. But that's O.K. When it comes to flying the unfriendly skies, you're the one they call "The Ace."